Welcome to the world of Crazy Dog Canvas – where we bring your ideas to life. 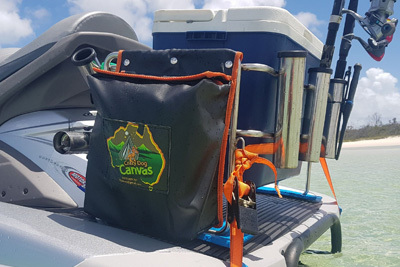 Crazy Dog Canvas is an established Queensland-based company that manufactures handcrafted, quality canvas products tailored to suit a wide range of domestic and commercial applications. More height, more space, more storage, more shade? No problem! When it comes to canvas, we’ve got you covered from top to bottom. 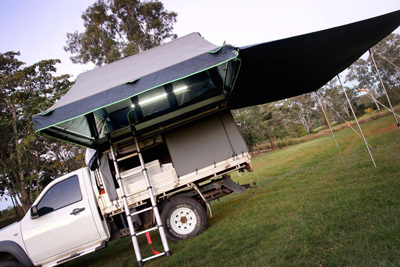 The Crazy Dog team specialises in the fabrication of roof top tents and camper trailer tents. We also create canopies to ensuites and everything in between, and can handle repairs and modifications too. We want our customers to walk away happy every time with products that look a million but cost a whole lot less. We leave quick and cheap fixes to the other guys. We’re crazy about taking you from concept to completion to camping pleasure. The talented Crazy Dog team’s wealth of experience in the tent-making industry is rapidly becoming widely recognised in the camping world. A commitment to quality workmanship that’s as strong as the products themselves. Bottom line: You won’t find a team that pays more attention to detail. Combine that with flexible in-house production and top it all off with personal customer care, no matter how big or small the job. That’s the Crazy Dog Canvas difference. Quality products made from scratch to suit your needs and guaranteed to make you as happy as a dog with two tails. Whether you want domestic or commercial, custom or readymade, outdoor or off-road canvas solutions – you’d be crazy not to talk to us first! Whether you​ ​want a tent for Roof Tops, Camper Trailers and Motor Bike Trailers, awnings and add-on rooms, ​or​ even detachable walls – Crazy Dog Canvas can cover all your canvas needs. Bring us your design, or we can design for you. Crazy Dog tents come in a range of standard sizes and colours, but can also be custom-made to suit your outdoor requirements. 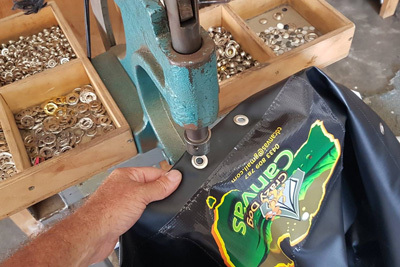 We’re serious about quality, so the materials we use are sourced from the best and finest available. We don’t import and use only Australian-made canvas built tough for our Aussie climate.